(Danbury, CT) October 1, 2018 — If you run into Dutchess County resident Mary Moody, she will ask you if you’ve ever sponsored a “walker.” For those who know Mary well, they know that she is referring to sponsoring a participant in the annual C.R.O.P. 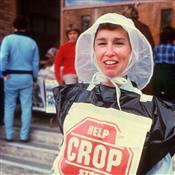 Walk (Communities Responding to Overcome Poverty), which she has supported for the past forty-three years. If you are among the few who have not donated, she will look you straight in the eyes, with a smile and a glimmer in her eye, and let you know that she’d like to offer you an opportunity. In early August when Mary arrived at the Center for Comfort Care and Healing in Danbury, CT after her poor recuperation from pancreatic cancer surgery, she wasted no time in starting to solicit donations for her cause. With the walk coming up on October 14, she knew it was prime time to get her letters mailed and get on with the business of helping others in need. From the table in her hospice room, day and night, Mary wrote, addressed, sealed and stamped hundreds of letters to her friends and supporters. Last year, Mary was the 6th largest fundraiser for the C.R.O.P. 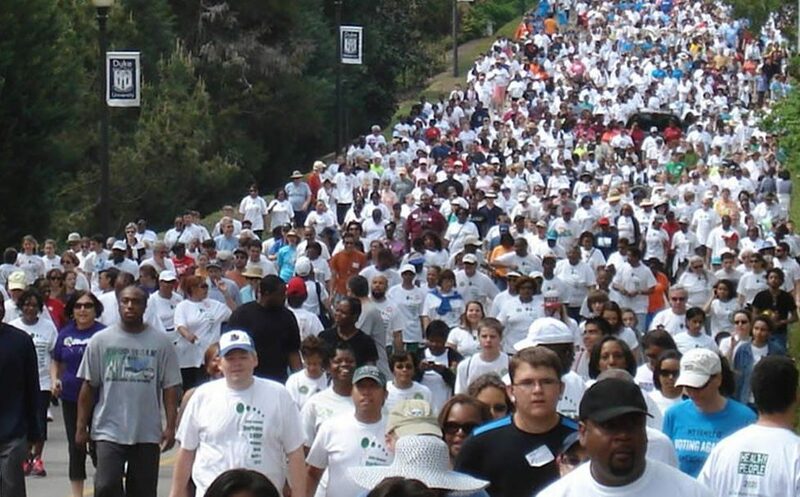 Walk nationwide, fundraising $18,474 for the organization, which aims to end hunger around the world. This year, she is determined to beat that total. She was hesitant to include her poor pancreatic cancer prognosis in the letters she sent, but hoped that if people knew that she will likely not be asking them for money next year, they would be even more generous this year. With less than two weeks to go until the walk; Mary shows no signs of slowing down and though she won’t be walking this year due to her declining health, she has assembled 11 loved ones to walk on her behalf. Regional Hospice has served Fairfield, New Haven, Hartford & Litchfield counties with nonprofit home hospice care for over 30 years. In 2015, we opened our state-of-the-art Center for Comfort Care & Healing just over the border from Dutchess County. This family-centered hospice residence is CT’s first and only private-suite facility and serves patients from all over the country. Its mission is to provide exceptional end-of-life care, comfort and compassion to infants, children, adults and their families with a dedicated staff of professionals.